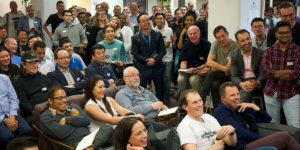 Come along to hear 5 very passionate founders pitch their startup. Accessibility in The City – has taken the challenge to improve the lives of those who find accessibility difficult. Augr – is an augmented reality app that changes the way we consume advertising. Augr brings print to life. CyferLinx – makes life easy linking all your coding accounts, pulling together your skills & experience to create an online resume that’s always up-to-date. Elite Robotics – We build autonomous vehicle platforms for robots that will serve the cities of tomorrow. MGA Thermal Storage Solutions – mission is to revolutionise the energy industry by providing clean, economic, and scalable thermal energy storage.